Wherever possible, we organise the collection of your equipment using our own fleet of vehicles in order to keep transport costs as low as possible. We have two delivery vans (3.5t), each with a payload of 1,400 kilograms, at our disposal at all times. For the shifting of large volumes or for transports over long distances, we cooperate with well-known forwarding companies. If the delivery still contains electronic customer data (not deleted hard disks), such transports are always accompanied by one of our employees. 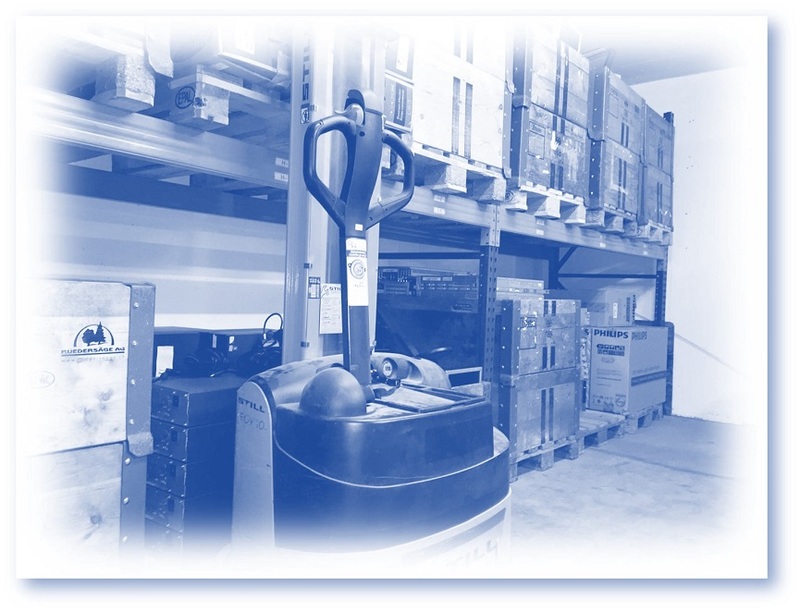 In our warehouse we have well over a hundred pallet spaces where tested, anonymised and reusable client hardware is stored until it is sold. Short transport routes and direct access to the goods lift / ramp enable us to handle goods efficiently. A part of our storage capacity is reserved for rollout projects: New equipment, which is delivered by our staging and service partner with a full tank of fuel, can be stored safely and cost-effectively until called off by our customers. 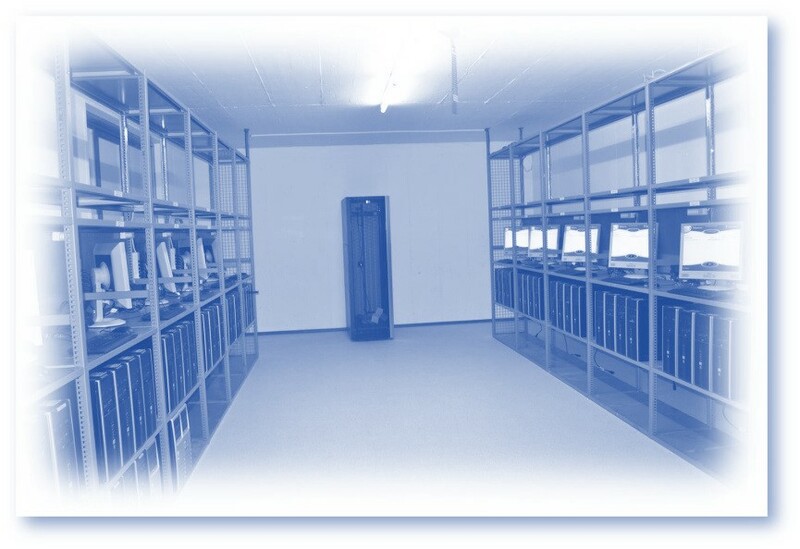 All devices that could still contain your data are stored in our specially secured and monitored auditing and data erasure centre. With our two state-of-the-art data erasing lines, we are able to erase more than a hundred devices simultaneously or refuel with new software.